Along with popular television shows like The Walking Dead and Better Call Saul, Game of Thrones has become a real fan favorite over the past few years. 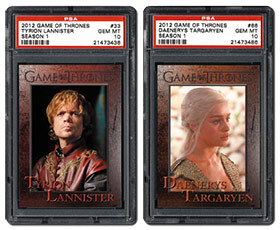 In the midst of perhaps the show’s most popular season ever, we thought it would be fun to look at the first three trading card sets based on the series. 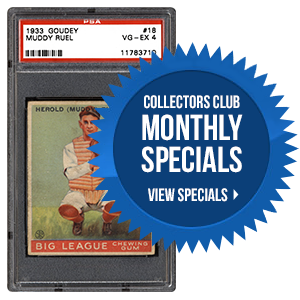 From their terrific designs to limited edition autographed inserts, the sets have a lot to offer both the collector and fan. 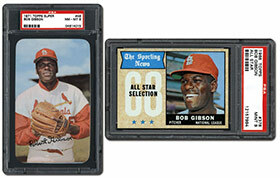 In his prime, Bob Gibson was as tough a pitcher as a hitter could ever face. Not only did Gibson possess wicked stuff, including a devastating slider, but his intimidating presence was unrivaled. 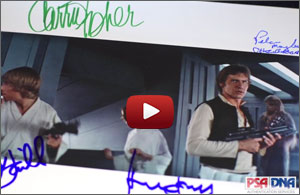 In the following article, we take a look at “Mr. Intimidation” through his baseball cards. The set that pays tribute to "The Great One" more than any other is the 1982 O-Pee-Chee issue. 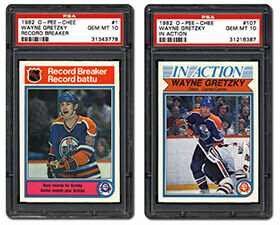 After coming off his best season, a year where he shattered single-season records for goals and assists, Gretzky was featured on nine different cards. In the next article, we not only look at Gretzky’s numerous appearances, but we break down the rest of the set as well. Which of the following shows is your favorite right now? The deadline for this year's PSA Set Registry Awards was Tuesday, May 31st. Judging is underway and winners will be announced by the end of June. Good luck to all who are in contention and thank you for your participation in the PSA Set Registry! For more information about the PSA Set Registry awards, please click here. As in previous years, awards will be presented at the annual PSA Set Registry Luncheon to be held this year in Atlantic City on Friday, August 5th. Email invitations for the luncheon will be mailed out mid-June.